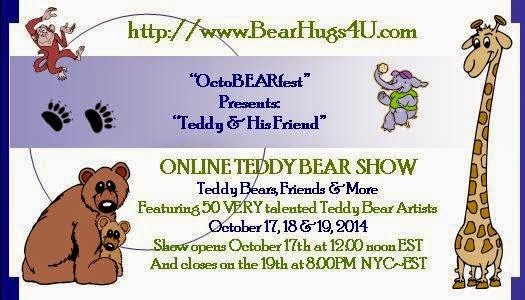 This is my another creation for Be My Valentine's bear show. She is a purse & key chain bear, and she is open edition. 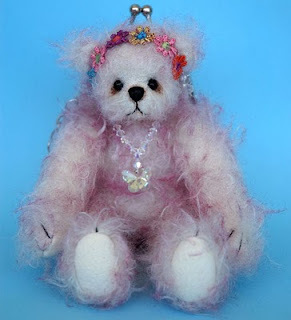 She can be made by order, and you can choose any colour of mohair that you want. She is adorable, I love that she is a purse, what a great idea.